SSG is pride of Pakistan. The best Parad squad since childhood.. 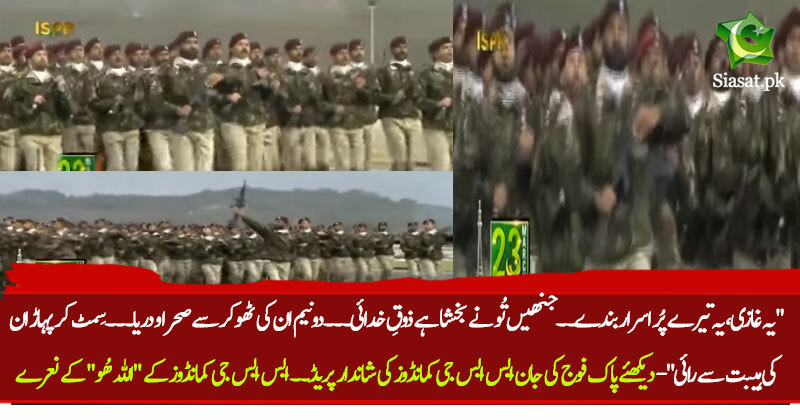 The SSG THUMPING has sent chills down the spine of enemies a number of times. Even Turks and S.A.S loves that stride. That THUMPING. I HAVE HEARD retired S.A.S officer saying that SSG IS THE NEXT S.A.S OF THE WORLD. PTV poor production show continues. No sound of commando shoes thumping or any sound from tanks rolling. Very bad and sad state of affairs at PTV. Gives me goosebumps! Love them!